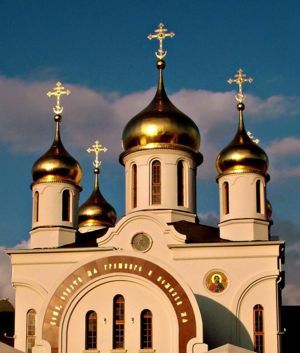 Staunton, November 28 – In the latest version of the NIMBY principle, Muscovites are demonstrating against the construction of more than 100 of the 200 new Russian Orthodox churches the Moscow Patriarchate plans to build with the assistance of the capital’s government because such buildings would deprive residents in many cases of public parks. Although the objections of Muscovites to the construction of any new mosques have attracted more attention, anger among residents of the Russian capital about the Moscow Patriarchate’s plans to build churches “within walking distance” of every Muscovite has provoked a “not in my back yard” reaction in more parts of the city. This development is likely to prove doubly important. On the one hand, the powers that be in Moscow by deferring to popular opposition to mosques have encouraged Russians who object to new churches to protest. And on the other, regardless of what the city does regarding churches, officials are likely to face more protests over a variety of other issues as well. Last Thursday, “Novyye izvestiya” reported that residents in Strogino had launched a protest against the construction of a new Russian Orthodox church on the only hill in a park where their children can go sledding. “We are not against God,” the demonstrators said; “we are for nature” (www.ansar.ru/society/2010/11/27/8751). Both to mobilize opinion and to show the powers that be that the people are overwhelmingly opposed to the church, residents organized Internet voting about the project on their region’s website, forum.strogi.net/. More than 60 percent were opposed, 13 percent were for, and 25 percent said they supported the project as long as it doesn’t harm residents. Were this a unique case, it might not matter too much. 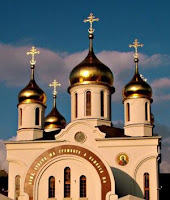 But according to the Moscow Patriarchate’s plan as approved by the city authorities in August, some 200 Orthodox churches are to be built in residential areas in the capital as part of the Church’s efforts to attract more people to the faith. However, as various Moscow newspapers have suggested, more is at work here than just a desire to spread the Gospel. The Church is very much interested in gaining access to property and to the tax free status such property enjoys if but only if there is a religious facility built and constructed on it, experts say. At the same time, the financial interests of residents are very much at risk. Anton Paleyev, the chairman of the Moscow city duma committee that oversees relations with religions, noted that an individual who buys an apartment overlooking a park is certain to be upset if instead of a park there is a church and the crowds such a facility might attract. Because property issues are involved and because most of the decisions involving the Strogino site were made in secret, Moscow newspapers report that the people of that Moscow district both plan to hold more demonstrations and to appeal to prosecutors to investigate what they say are illegalities in the approval process (www.ansar.ru/society/2010/11/26/8729).